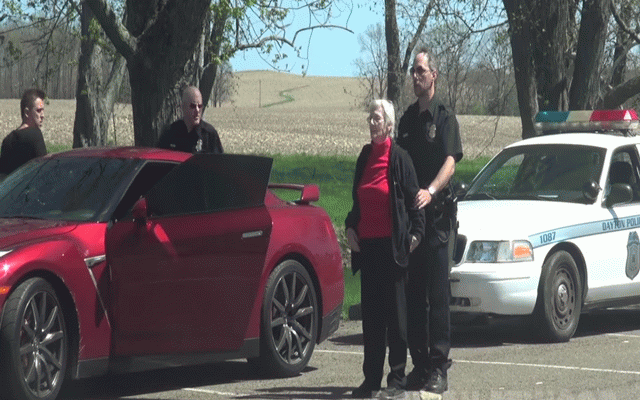 Famous YouTube prankster Roman Atwood couldn’t just let his grandmother’s birthday pass by without a prank. So he decided to take her for a joy ride in his sweet Nissan GT-R sports car. After convincing her to get behind the wheel, he had his police buddies pull up and arrest her as the car was allegedly stolen. So mean!